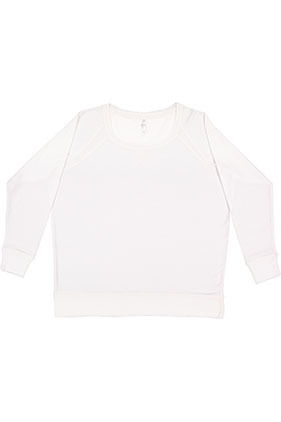 5.0 oz.. 60/40 combed ringspun cotton/polyester french terry fleece. Taped neck for a clean, finished look with superior comfort. Flatlock stitch front v-patch and raglan sleeves. Flatlock stitch ribbed collar, cuffs and waistband. White is sewn with 100% cotton thread for easy garment dyeing EasyTear™ labels for additional comfort and ability to brand as your own.